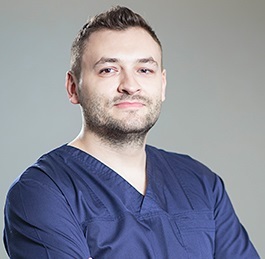 The types of dental treatments available in Romania cover a wide range of procedures and areas of expertise, from dental surgery to cosmetic dentistry, from simple procedures to procedures adapted for different types of patients, and problems. 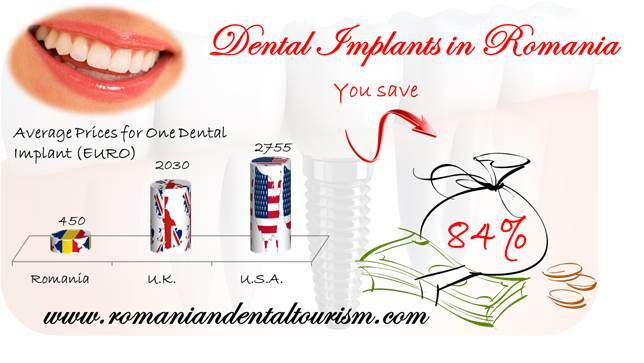 Dental tourism is becoming increasingle popular in Romania and patients from all over the world choose the country as a treatment destination because of the affordable prices and experienced and dedicated specialists. Our team of dentists in Romania is ready to provide high quality services in one of our two clinics in Bucharest. A good oral and dental health begins with regular check-ups. A good dentist can implement a personalized treatment plan, suited to your specific needs. He or she can also give you the best advice regarding oral hygiene and education. A general examination at one of our clinics in Romania will provide information about the health of your teeth and gums, together with a solution for your problems. Afterwards you can collaborate with our dentists in order to decide a treatment plan suited for your needs. Cosmetic dentistry is a speciality that deals with dental aesthetics, and appearance. A beautiful smile can be captivating, therefore the types of dental procedures included in this category are becoming more and more popular. Cosmetic dentistry offers solutions for teeth whitening, reshaping, ceramic veneers that cover the outside of a bad tooth and improve its appearance and even dental tattoos and jewellery. Orthodontics is a very important dentistry specialty which deals with issues regarding tooth irregularity, dental displacement, facial growth and bite. Orthodontists are specialized only in orthodontia, while general dentists in Romania can provide both orthodontic treatments and advice. 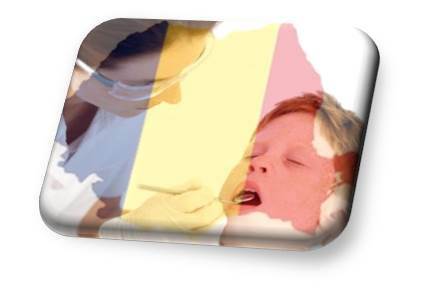 Our Romanian dentists offer services and comprehensive orthodontic treatments for affordable prices. Periodontology is the area of expertise regarding the prevention and treatment of gum disease. It is equally important to take care of the gums as well as the teeth and our Romanian dentists can offer you the best treatment plan ifor any type of gums problems. If your child has problems with his or her temporary dentition, we can provide specialized care, x-rays for children and specific procedures that will allow your child to have beautiful and healthy teeth. Endodontic treatments or root canal treatments are procedures used to fill teeth root canals if a tooth is decayed and the nerve is affected. Our dentists in Romania are equipped with the right technology and materials suited for specialty oral surgery procedures. Dental implants and dental crowns are also a very popular treatment option for various problems and Romanian dental technicians are well equipped and work with the best materials. With the help of a specialized team of dentists, dental problems can no longer be described by using just one word: painful. Dental tourism can turn a necessary procedure into a pleasant experience. Romania offers high quality dentistry services together with beautiful scenery, friendly bilingual people and affordable costs. We can help you plan your dental trip in Romania and find time to enjoy the beauty of the country after completing your treatment. Contact our Romanian specialists for a detailed offer and a personalized package.